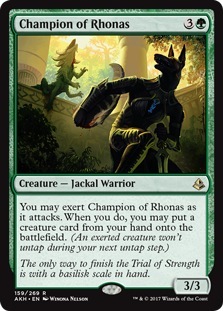 "To victory! 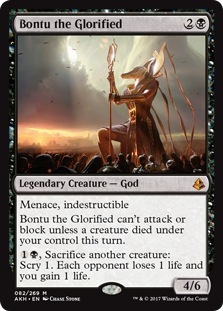 To glory! To eternity!" 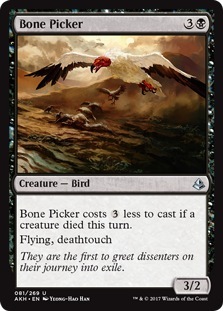 This spell costs less to cast if a creature died this turn. 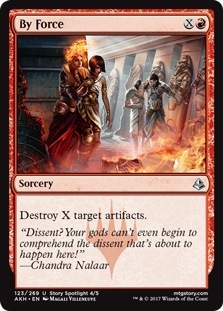 They are the first to greet dissenters on their journey into exile. 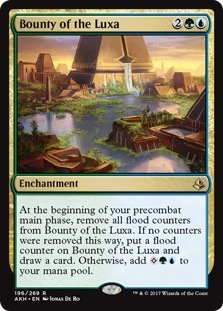 At the beginning of your precombat main phase, remove all flood counters from Bounty of the Luxa. 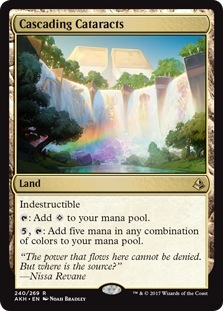 If no counters were removed this way, put a flood counter on Bounty of the Luxa and draw a card. Otherwise, add . "Oketra had our crop build an obelisk to prove the power of working together. 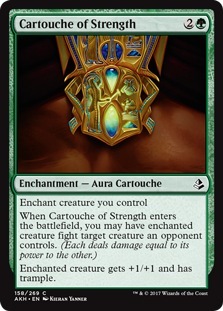 But I am stronger without the weak." 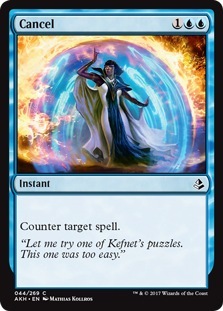 "Let me try one of Kefnet's puzzles. This one was too easy." Canyon Slough enters the battlefield tapped. 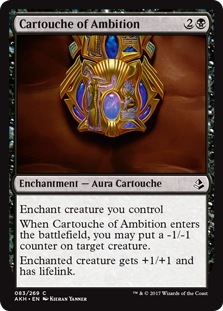 When Cartouche of Ambition enters the battlefield, you may put a -1/-1 counter on target creature. 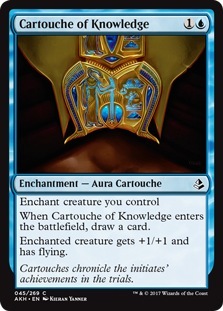 When Cartouche of Knowledge enters the battlefield, draw a card. 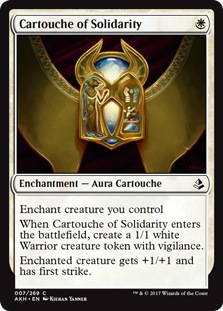 Cartouches chronicle the initiates' achievements in the trials. 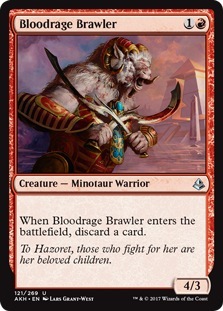 , : Add five mana in any combination of colors. 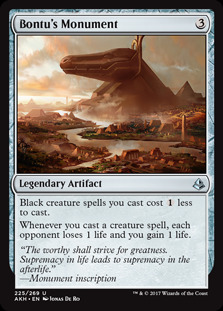 "The power that flows here cannot be denied. But where is the source?"